"Young Glass 2017" is the fourth iteration of the series, showcasing the rising generation of young glass artists. 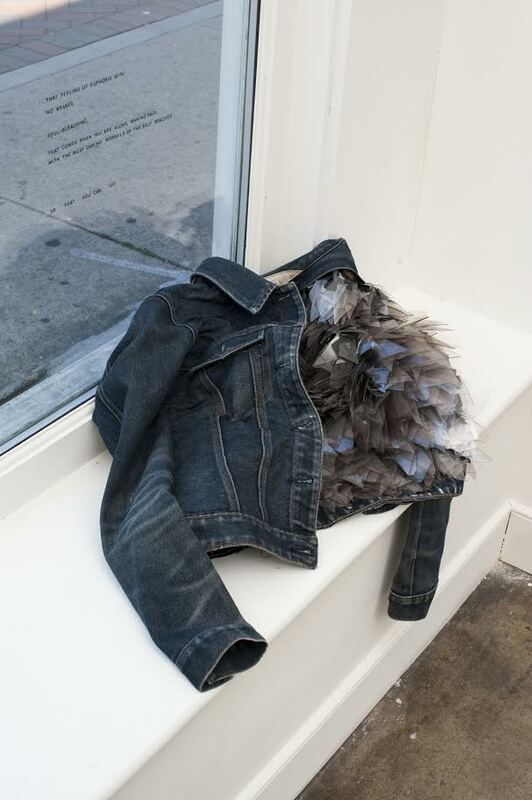 In June, works from 57 selected artists under the age of 35 went on display, where it will remain through October 29, 2017. 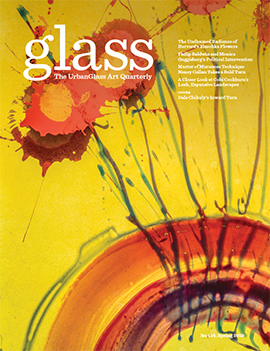 The GLASS Quarterly Hot Sheet spoke with a participating artist, an event organizer, as well as a museum official to better understand what's changing about this important international survey exhibition of new talent in glass. While a link to traditional methods remains present in the exhibition, new approaches to working with the material are emphasized and celebrated. Diverging from the standard at previous exhibitions, at this year's show, glass does not always take center stage. 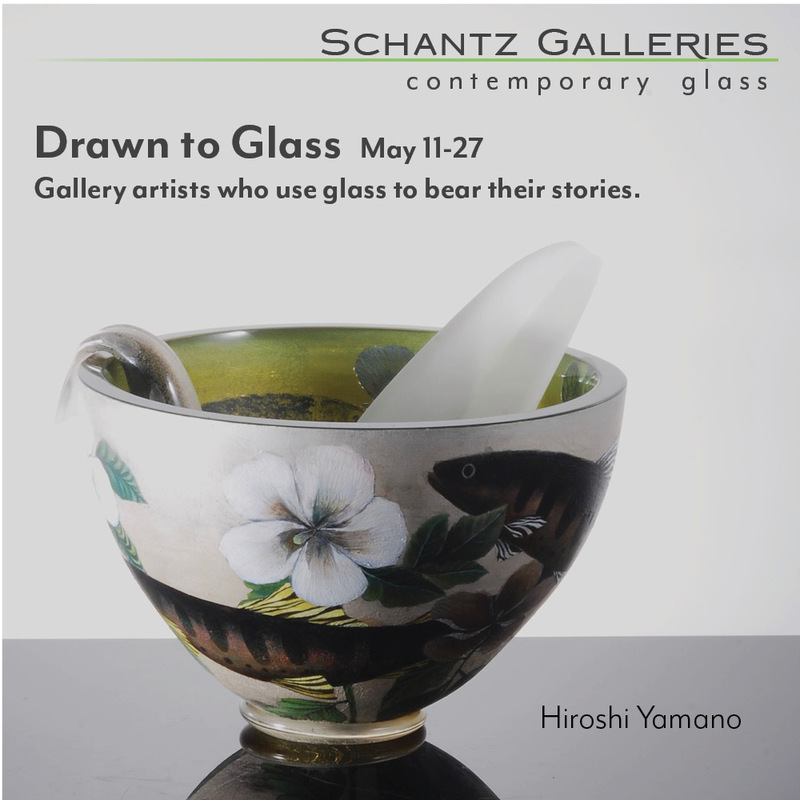 Multimedia, performance and installations are some of the forms artists used to complement the glass in their work. 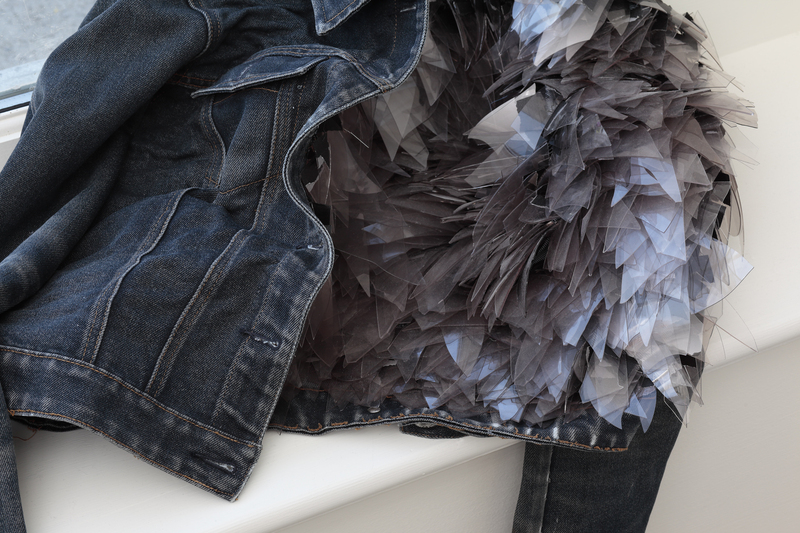 Ahmadizadeh’s piece on display in the exhibition, The Most Unkind Morsels of the Self Removed, features blown glass shards with a found denim jacket, gaffer tape and safety pins. 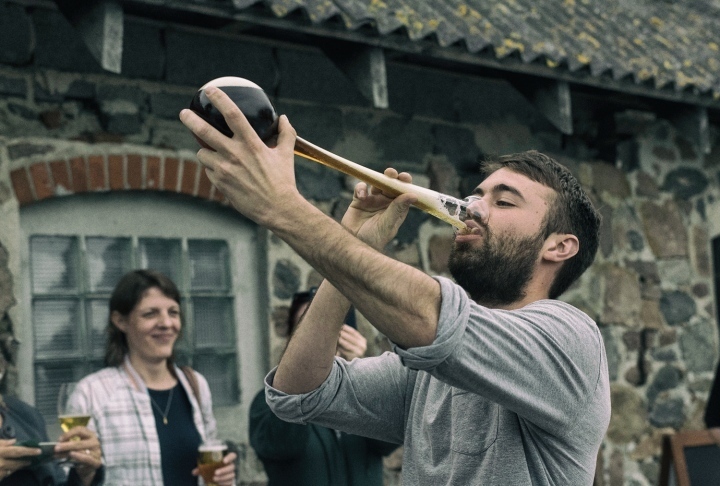 Exploring new possibilities in ways to use (and reuse) glass was further explored through Young Glass 2017’s Glass Heap Challenge, “Rethinking Beer Drinking,” hosted in partnership with British artist Matt Durran and local microbrewery Ebeltoft Gårdbryggeri. From June 12 to 15, Durran challenged the participating artists to work with recycled glass to create products for the microbrewery. 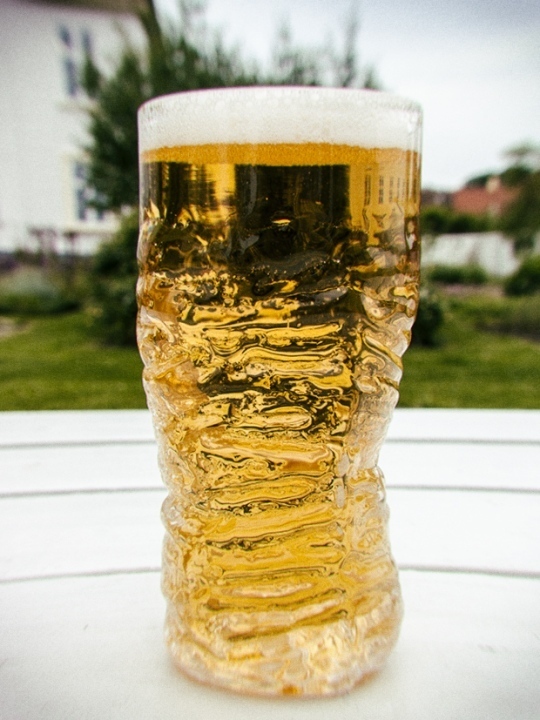 The primary goal behind the challenge was to generate consumer interest in locally produced beer, while simultaneously encouraging people to visit the museum. This served as the 11th Glass Heap Challenge, a series that Durran first conceptualized through his early experiences working with waste glass. He said that the idea came into fruition once he realized a mutually beneficial relationship could be formed between waste management companies, who had an excess of glass, and his artist colleagues, who had a shortage of work. He decided to merge the two together, which resulted in success for both sides. 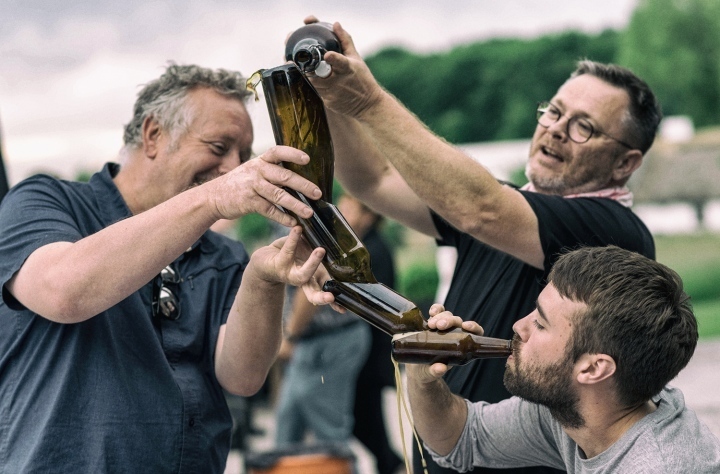 Following suit with the original mission of the Glass Heap Challenge, in this year’s edition, Durran asked the participating young glass artists to utilize their skills to help the microbrewery and the museum. 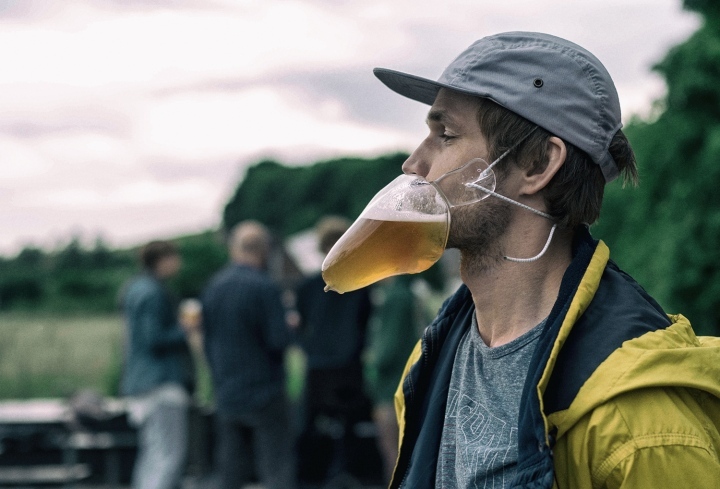 Both were looking for a solution to increase public engagement-- the microbrewery wanted products made and the glass museum wanted to expand their workshops and get involved with local business. 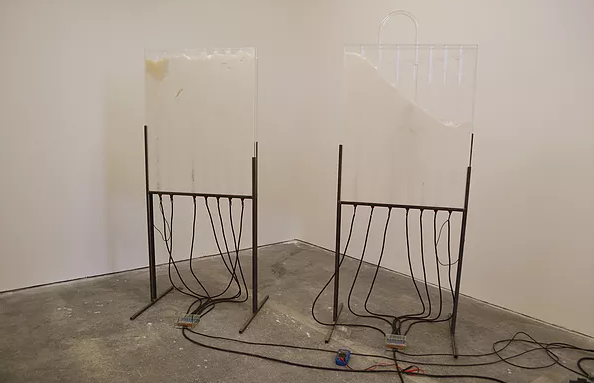 Aligning with the exhibition's overall theme of innovation, Durran noted that the nature of this challenge called for artists to think beyond traditional ways of using glass. The major motif of the challenge centered around sustainability and how to extend the life of glass. 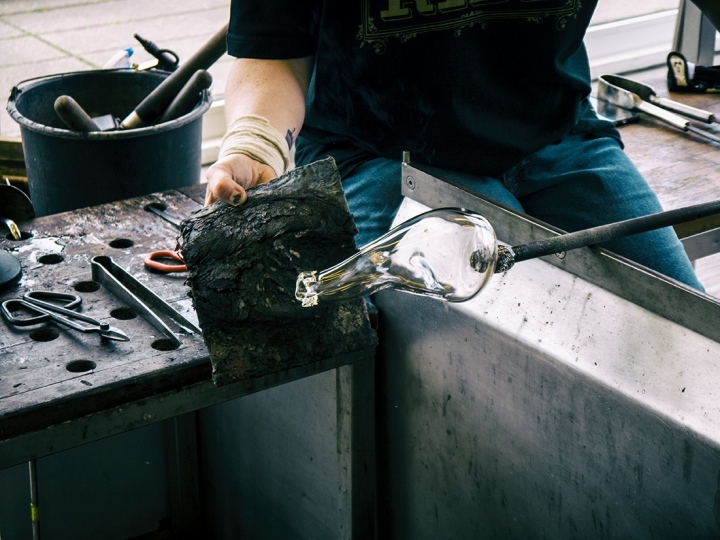 Durran said that he hoped to convey to the audience that it is not a “waste of time” trying to recycle glass and that it is possible for glass to have a second or third life. 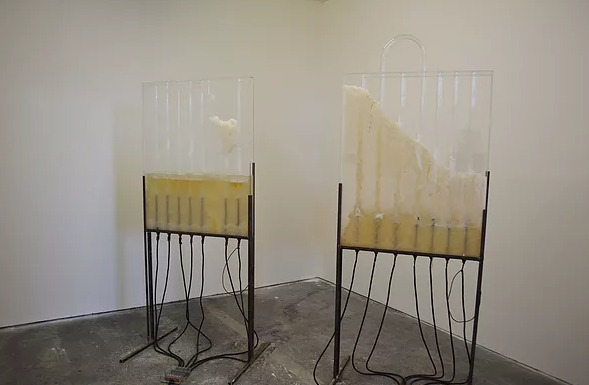 Following the opening of the exhibition, Zuzana Kubelková, Kathryn Wightman, Erin Dickson, Bjørn Friborg, Carina Cecilia Cheung, Rui Sasaki, and Pavel Skrott were announced as the Young Glass 2017 award winners. Zuzana Kubelková, from the Czech Republic, took home the grand Ebeltoft Prize of 10,000 Euro and a future solo exhibition at the Glasmuseet Ebeltoft for her piece, My Chemical Romance, which utilizes glass in its industrial form; exploring the progression of glass art while serving as a metaphor for continuously changing relationships.